I have a 24 MHz, crystal on my board and datasheet of IC defines the load capacitance between 5-9pF. The reference design I follow don't use any load capacitor. shorter trace is 3.3 mm long, the longer one is 8.6 mm long. Referring to the application note here, I use a signal generator at 24 MHz. Output of the generator and a scope of my oscillator are placed to an end point of a path, the second scope is placed to the other end. But, I don't observe any voltage/waveform/phase shift changes at the oscillator. I tried it by applying ramp, square, and sine wave forms, but output is the same for all. Could anyone explain how to measure the parasitic capacitance of the paths? 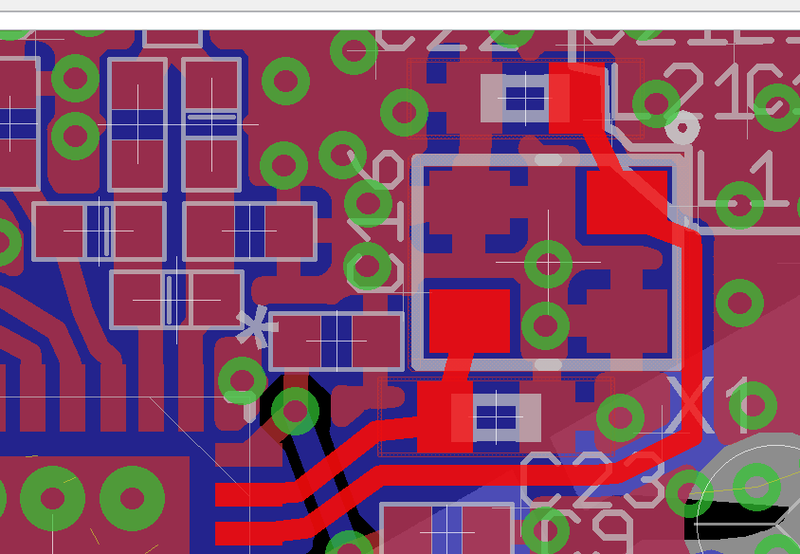 What do I need to do after measuring the capacitance, say I measure 1pF at the short path and 4 pF at the long path, do I simply need to add them and then compensate the required capacitance by placing load capacitors? There is a way to measure the impedance of a trace which requires transmission line theory. so any reflection of that wavelength is going to be virtually nothing on a trace thats a cm or 2. The u looking greek letter mu is the permeability of free space in Henrys per metre. The e looking greek letter epsilon is the permittivity of free space in Farads per metre. Not the answer you're looking for? Browse other questions tagged measurement capacitance crystal high-frequency parasitic-capacitance or ask your own question. How to calculate parasitic capacitance in a trace? How to measure capacitance without LC meter?